Larsen is one of my closest friends in Washington DC - we met the first month I moved here over a competitive game of Catan. I imagine we share the competitiveness passed down from our common Scandinavian ancestors. In the time sinse we've spent a lot of time together skiing, watching any movie featuring Tom Cruise or The Rock, working at the same company, and just about anything else one can do in the DC area. Natalie lived with several of my close high school and college friends over the past few years, and I'd often see her when I visited Louisville. Since she was always around my friends, I got to know her a little in peripheral FaceTime conversations and visits to their house. I'll spare the full story, but when Larsen first indicated he was interested, I told him I thought a long distance relationship might not be the best idea and I didn't recommend it but would also see no problem taking full credit for the connection should it work out! Credit taken (*sly grin emoji*)! I accompanied him down for a surprise trip to Louisville, misdirecting our plans to Natalie to keep it secret. 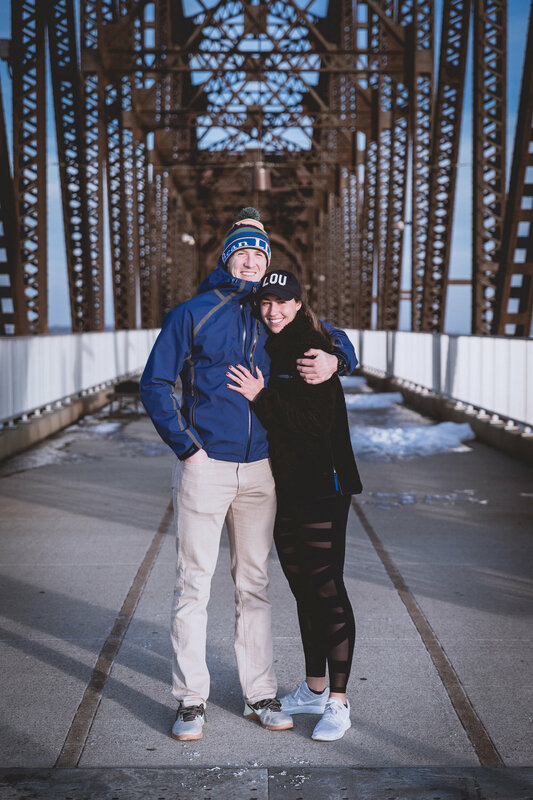 Saturday morning we hid on the Big Four bridge and he was finally able to show off his lunge form! Thanks to her sister Leslie and friend Lilly for helping out! 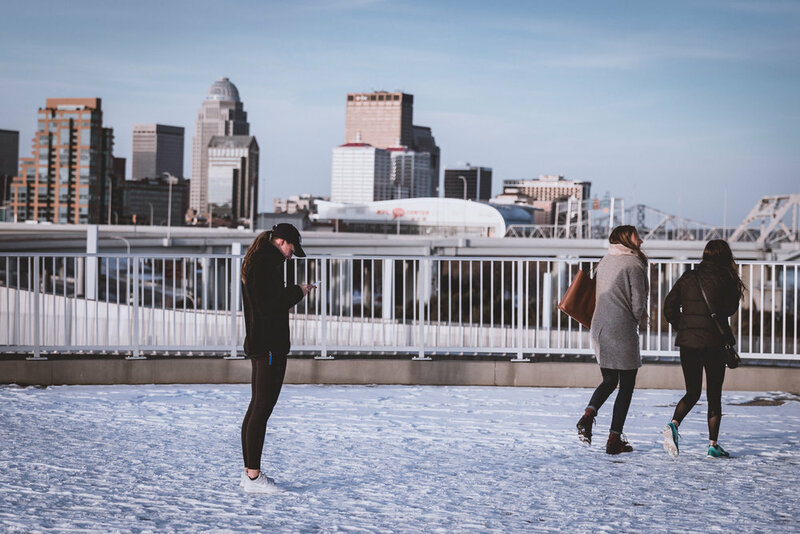 PS - isn't Louisville a beautiful backdrop, especially on a cold winter morning? !